Chief Minister N. Chandrababu Naidu gave his approval to the design of the Legislative Assembly building from two options at a meeting with the officials of the A.P.-Capital Region Development Authority (CRDA) and representatives of the Foster+Partners (F+P), in which film director S.S. Rajamouli had made some suggestions on giving a cultural dimension. A tower having the Assembly hall on the ground floor and other facilities above, which include space from where visitors could have a bird’s eye view of the capital region, was what the CM had chosen. The second design is a square-shaped structure. According to an official release, the Assembly design includes a viewing tower and a museum, with the complex spread over 17 lakh square feet. Meanwhile, former world number one golfer Tiger Woods is standing at the second spot, with an eye-popping $1.7 billion pretax. Sri Lanka becomes the 163rd nation to accede to the anti-personnel mine ban convention, fulfilling the pledge it made last year to join the international community in supporting the ongoing landmine clearance programme, the foreign ministry. The Ministry Convention on the Prohibition of the Use, Stockpiling, Production and Transfer of Anti-Personnel Mines and on Their Destruction, commonly referred to as the Mine Ban Treaty or Ottawa Treaty, was adopted on September 18, 1997, at the Diplomatic Conference on an International Total Ban on Anti-Personnel Land Mines at Oslo, Norway. According to the report by Nobel Prize-winning International Campaign to Ban Landmines, last year 8,605 mine or explosive remnants of war casualties were reported, in which at least 2,089 people were killed. 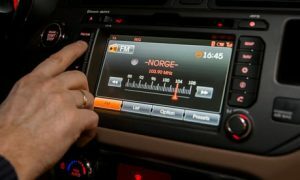 The transition will allow for better sound quality, a greater number of channels and more functions, at a cost eight times lower than FM radio. The transition concerns only national radio channels. The Home Ministry has released Rs 174 crore to six states having an international border for development of infrastructure in forward areas. The states that will be benefited under the Border Area Development Programme (BADP) are Assam, Gujarat, Himachal Pradesh, Manipur, Uttar Pradesh and West Bengal. Telangana government under the leadership of Chief Minister K Chandrasekhar Rao is gearing up for the five- day long mega literary festival of World Telugu Conference beginning from tomorrow. For the first time after the bifurcation of erstwhile Andhra Pradesh, the international convection is being organized at Hyderabad. Around 8,000 delegates and 250 cultural organizations across the globe would be participating in the five-day long Conference at LB Stadium. The amount of Rs 50 crore has already been sanctioned by the Telangana government. The Union Government framed a scheme to set up 12 Special Courtsfor a year to fast-track the trial of criminal cases against 1,581 MPs and MLAs. The winter session of Parliament begins with Prime Minister Narendra Modi urging all political parties to extend co-operation for smooth conduct and pressing for a “national consensus” on the issue of simultaneous elections in the country. This year’s Winter Session of the Parliament will end on 5th January 2018 has only 14 proposed sittings. As per government data available, 14 sittings is the lowest for any winter session since 1999. Mumbai Metro launched a new security app ‘Secucare’,which can be downloaded on Android and IOS platforms, for raising an alarm to ensure passengers’ safety. Jitesh Singh Deo from Lucknow has bagged the Mr. India World 2017 title. He will represent India at the Mr World competition. Prathamesh Maulingkar, a model and entrepreneur from Goa, won the Mr India Supranatural 2017 title.